I was asked to give a talk at the International Society for Quality in Medicine (ISQua) meeting two weeks ago in Geneva, Switzerland. Meetings like this are usually the choir reinforcing what we all are living and breathing and trying to teach our students and colleagues who have yet to embrace the change necessary when it comes to preventing and managing medical error in healthcare. I have found the ISQua meeting to be one of the better quality and safety annual meetings, and was honored when I was invited to be a speaker on a patient safety education panel moderated by Professor Cliff Hughes, renown cardiac surgeon and now CEO for the New South Wales Clinical Excellence Commission (CEC). The CEC has been doing outstanding quality and safety work in Australia for many years. Also on the panel were Professor Kim Oates, pediatrician and patient safety education guru from Australia, and Peter Carter, the Acting CEO of ISQua. It is always good to see friends from down under who join us each year in Colorado for our annual Telluride Patient Safety Educational Roundtable and Student/Resident Summer Camps. 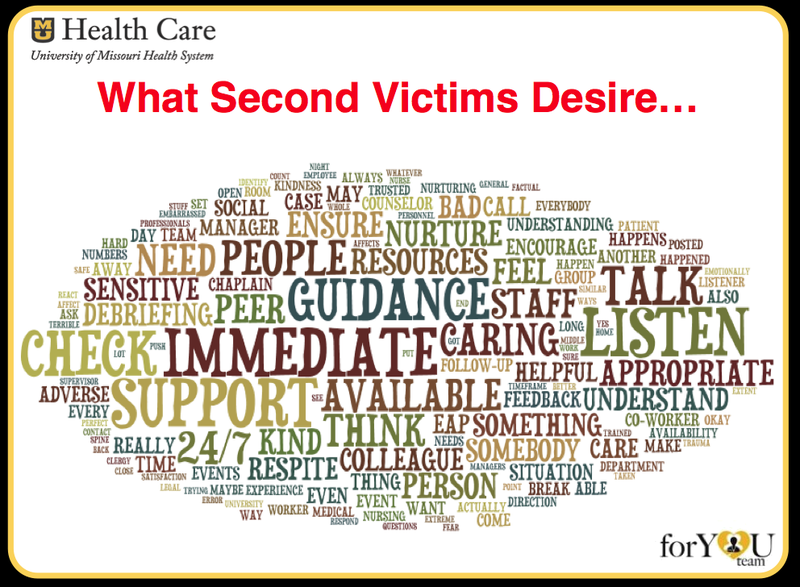 During the week in Geneva, each of us addressed our different area of expertise related to patient safety education, but two universal themes we all touched upon in our talks were Just Culture and Care for the Caregiver (also known as the Second Victim). Both are important topics to be explored and developed when educating the young, as well as necessary to change the current healthcare culture. 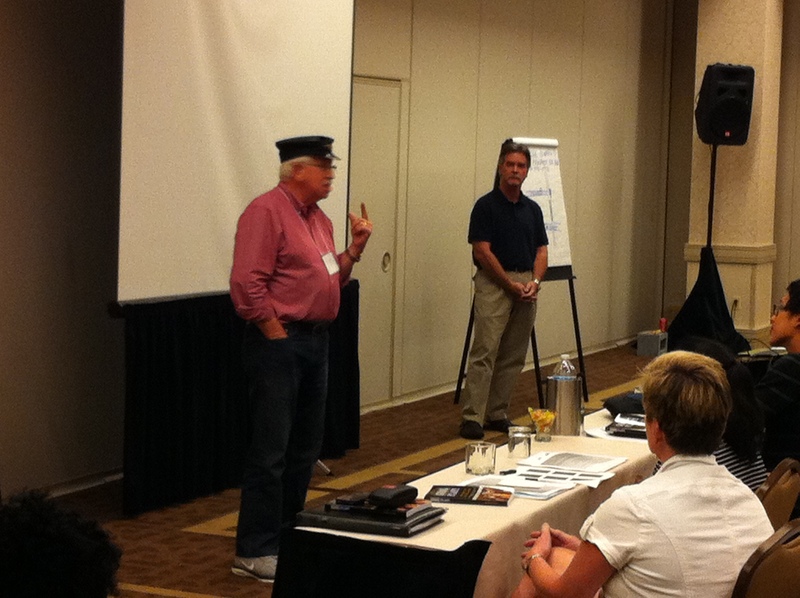 What we do after an event occurs, in many ways, defines who we are as health professionals and people. These choices impact not only our patients and their families, but our colleagues involved in the error, who are also traumatized by the event. Albert Wu from Johns Hopkins University began raising attention to Second Victim issues a number of years ago which has led to a growing body of research in this important safety area. Because of my own interest in this area, one session in particular caught my attention this year when I was reviewing the ISQua program. The presentations and discussions were all outstanding, but as usual, there was one that especially hit home, given the point I’m at my career. This year, it was Susan Scott RN MSN, Patient Safety Officer from the University of Missouri Health Care System, who gave an excellent talk on their Second Victim program that has been in place for a few years. I encourage all who are interested in this area to become more familiar with their work, and the positive results that have come from it, as I’m not aware of any other organization that has taken Second Victim work to the level University of Missouri has under Susan’s leadership. Leadership at the health system is also fully invested in the program, and the positive results they have seen reflect that commitment. 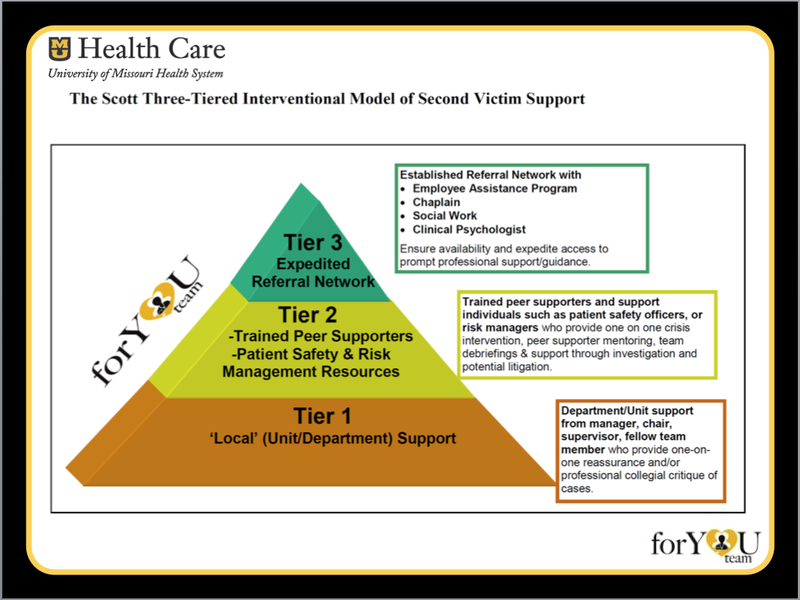 Their program, called “for You” is a model program that lays out examples of how best to support fellow caregivers when harm occurs. 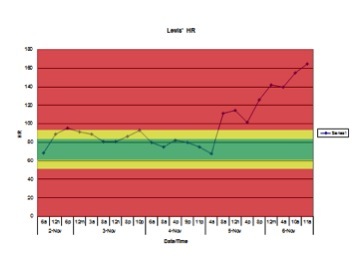 Using research findings that have come from numerous caregiver support engagements, team debriefs and reflections, they have developed a three-tiered interventional model that is activated when a referral comes into the safety office. Since implementing the model, they have had over 600 team activations, or opportunities, to reach out and support their fellow caregivers in the last three years. It is because of the cutting edge work like this led by Susan, her team, and the University of Missouri Health Care System leadership, that we have examples of how to do it right for our students, as well as change the culture in our own health care organizations. To paraphrase Margaret Meade, all it takes is a small group of thoughtful and committed people to change the world for the better.